Jon Morrow tells us that On Writing by Stephen King has become "the most popular book about writing ever written, pulling in over 1000 reviews on Amazon and selling God only knows how many copies". I’ve read On Writing from cover to cover at least five times, and each time, I saw a noticeable improvement in my prose. For one, it teaches the fundamentals of the craft, which is something no writer should ignore, but it also sort of rubs off on you. You can’t read On Writing and not come away with a smile on your face. Where other writing books are focused on the mechanics of the written word, King shows you how to capture the joy of the craft. You’ll find yourself wanting to write, not because of fame or fortune, but because it’s fun, and there’s nothing else you would rather do. I agree with Jon, but feel the need to add that, for a week after reading On Writing, I had the most frightful case of writers block. I think it was because I kept second (third, fourth, fifth, ...) guessing every word I wrote. My fault, absolutely, but just sayin'. If you're anything like me, you might not want to read it before an important writing deadline. 1. Write for the joy of writing. 2. Writing is about enriching the lives of those who read your work as well as enriching your own life. 3. Don't set your sights too high. Forget about pleasing all your readers all the time. Forget about pleasing some of your readers all of the time. Try to please some of your readers some of the time. 4. Don't come lightly to the blank page. Have something to say and say it. 5. If you're just starting out as a writer, get rid of your TV. 6. Here are the two most important things writers do: read a lot and write a lot. 7. Remember: Art is a support system for life, not the other way around. For instance, if all your paragraphs are long, the eye tends to tire. Mix it up. 9. Writing is thinking, but more refined. 10. "Write with the door closed, and rewrite with the door open." In other words, write the first draft for yourself, write the second draft for your readers. 11. Read the good, the bad, and the just plain ugly. If you don't spot terrible writing in others' work you're less likely to spot it in your own. 12. Writing is work. It's a job. Writers write. 13. Be able to describe things, anything, "and in a way that will cause your reader to prickle with recognition." 14. Resist the status quo. Describe the world you see, write about it. If some folks hate this, you're on the right track. 15. If a piece of writing works, keep it, if it doesn't, throw it out. Doesn't matter "how boringly normal or outrageous it is". 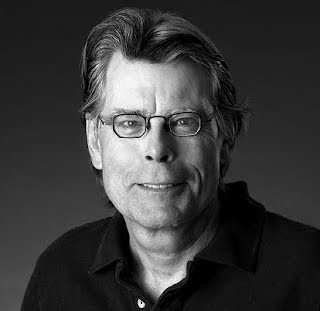 This seems to go hand-in-hand with King's advice to kill your darlings. If a piece of writing, no matter how brilliant, doesn't move the story forward then get rid of it. Well, that's it! I think we can all agree that if we did those 15 things we'd be better writers. I know I would be.